GNOME 3.32 bringt wichtige Verbesserungen in einigen Bereichen. Dazu zählen ein neues Icon-Set sowie eine Überarbeitung des Adwaita-Themes. Grr. #gnome-shell has a tendency to get stuck in using 100% CPU, freezing my desktop. This only happens when I'm traveling, using a mobile data connection that tends to go down every now and then. I wonder if this is related somehow? One thing I like about #Gnome: Its developers think about all those little and easily forgotten details and make sure the desktop gets them right – like in cases where someone secretly connects a different or additional keyboard. Here you can find the introduction, the update 1 and the update 2. 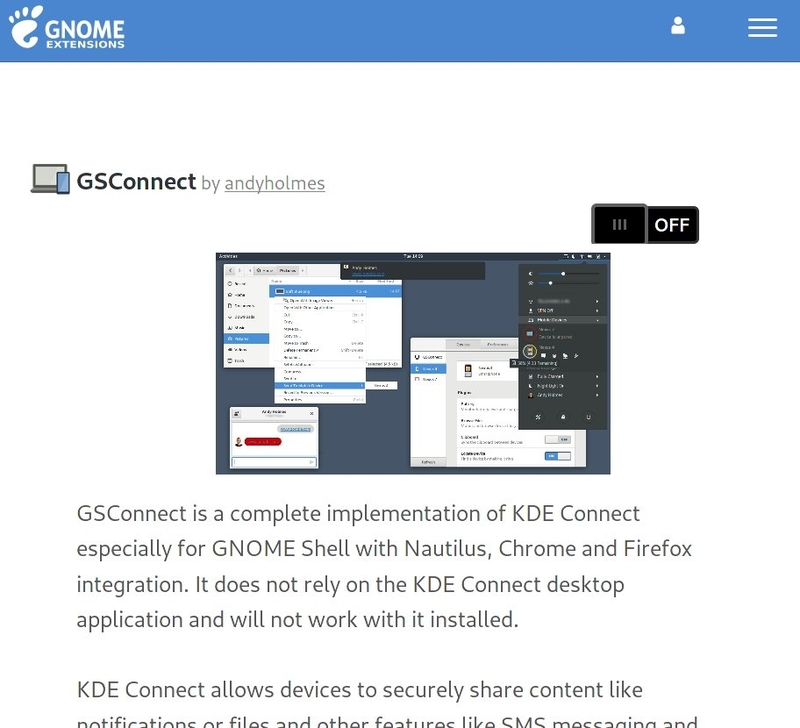 KDE Connect implementation for GNOME. Contribute to andyholmes/gnome-shell-extension-gsconnect development by creating an account on GitHub.